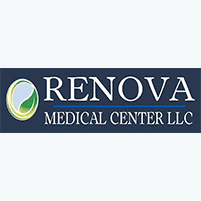 Renova Medical Center is a pioneer in the rehabilitation and relief of pain using natural, non-surgical means. By combining comprehensive physical rehab, chiropractic care and massage, our chiropractors in Columbia, MO are able to help patients with a host of pain issues unlike any other facility in Columbia, MO. Our services are beneficial for a wide range of people, from those with intermittent muscle tension and sciatica, to those with spinal disc problems, sports injuries, carpal tunnel, and even severe pain issues. We get results on a daily basis with patients who previously had been told that surgery or a lifetime on pain medication were their only options. Our team of medical providers and chiropractic physicians work together to provide our patients with the best and most complete Physical Medicine care and chiropractic adjustment with the goal of restoring function. Many factors affect your health, and chiropractic care is a way of maintaining your health naturally to help your body resist disease, rather than simply treating the symptoms with drugs or surgery. Natural healing from chiropractic care stimulates the body’s communication system to work more effectively to control and coordinate the various systems of the body. Renova Medical Center offers chiropractic services in Columbia, MO that offers consultations, in-office x-rays, manual therapy, injections, physical therapy, massage therapy, chiropractic adjustment, and thorough physical rehabilitation to get our patients back to living life. The nervous system and the musculoskeletal system control your health and quality of life. Getting out of pain from carpal tunnel, sports injuries, or disc problems and improving function without surgery or addictive medications can dramatically improve health and well being. For more on physical therapy Columbia and our other processes, call us for a consultation today.